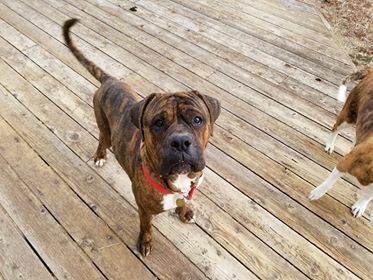 Zeus is a year old Boxer/Mastiff mix. He is good with people and other dogs. He is currently working on housebreaking and needs some obedience training. 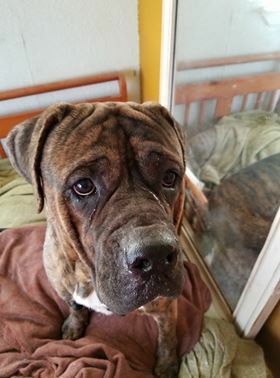 Zeus is a sweet boy that needs a chance in life. With some love and training, he will make an amazing lifelong companion!